A dead technology is being revived in a riposte to the anthropologists who thought they had recorded the last Indigenous voice. 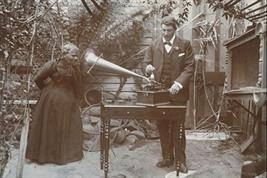 For more than a century the wax cylinder recordings Horace Watson made of Fanny Cochrane Smith have been touted as the only sound recording of the traditional Tasmanian Aboriginal language. The recordings of Smith singing, made in 1899 and 1903, were held up as an example of modern technology preserving a dying culture. But in an ironic twist, the technology has died while the culture lives on. 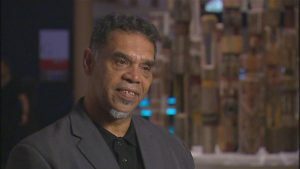 To make the point two Aboriginal musicians are reviving the obsolete wax cylinder technology to make their own recording of a contemporary song in dialogue with Smith’s voice. Nardi Simpson and Kaleena Briggs are best known as Stiff Gins, a soulful vocal duo with three albums to their name. But their new project Spirit of Things-Sound of Objects is much more than just music. The pair are seeking inspiration from the Indigenous objects that have been removed from their cultural context and creating music in response to objects languishing in museum storage. One of the most moving objects Simpson and Briggs found was from the Tasmanian Museum and Art Gallery: the sound of Fanny Cochrane Smith singing in her native Tasmanian language, which can be heard on the video clip below. Finding the equipment to make a modern wax cylinder recording has involved an international search with the help of Peter White from the National Film and Sound Archive. White initially approached the Edison Museum in the US and then sought help from European museums. He has now located the necessary equipment and is waiting for it to arrive and be tested. White said it was particularly powerful to use a wax cylinder recording because of the way they had been used in the past. ‘This kind of equipment was primarily an anthropological medium. 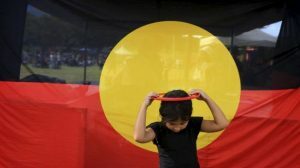 Anthropologists would go into communities and make recordings so it’s great that Aboriginal people are turning that around and making their own recordings and creating and celebrating their own voices. Simpson and Briggs hope to take the song they make for the wax cylinder recording on tour and to perform in places like the British Museum, which holds significant Aboriginal objects.